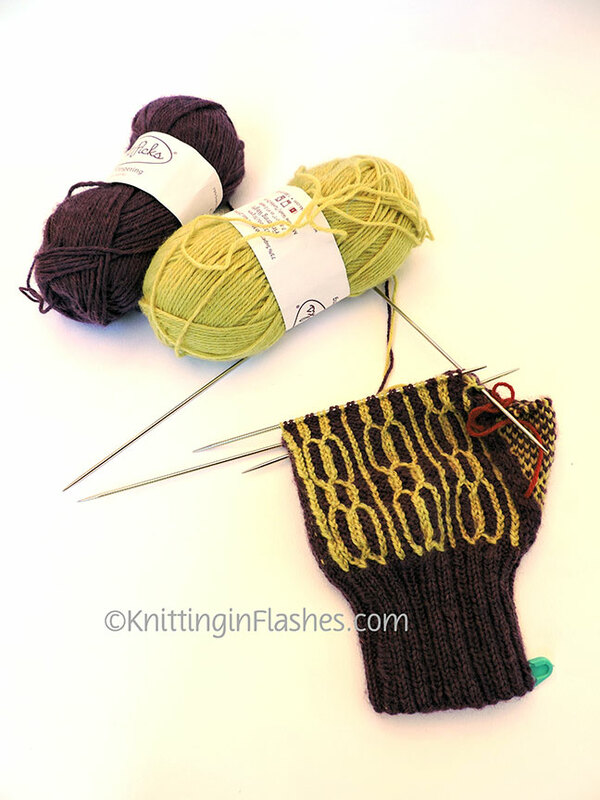 I dropped a stitch on the Shaad Mitts awhile back and forgot about it until I picked them back up and started working on them. 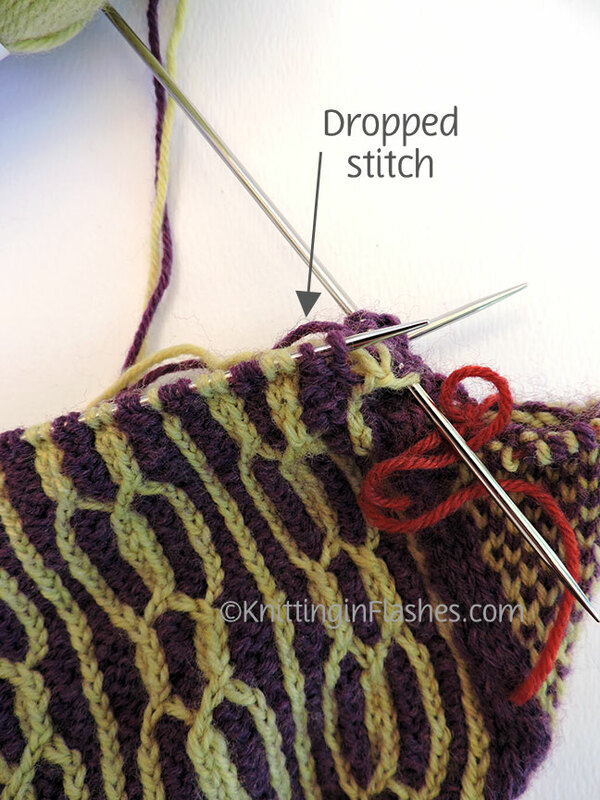 It took some time but I managed to find the dropped stitch and get it back on the needle. Seven more pattern rows then the ribbing on the finger end and thumb. And begin mitt #2. 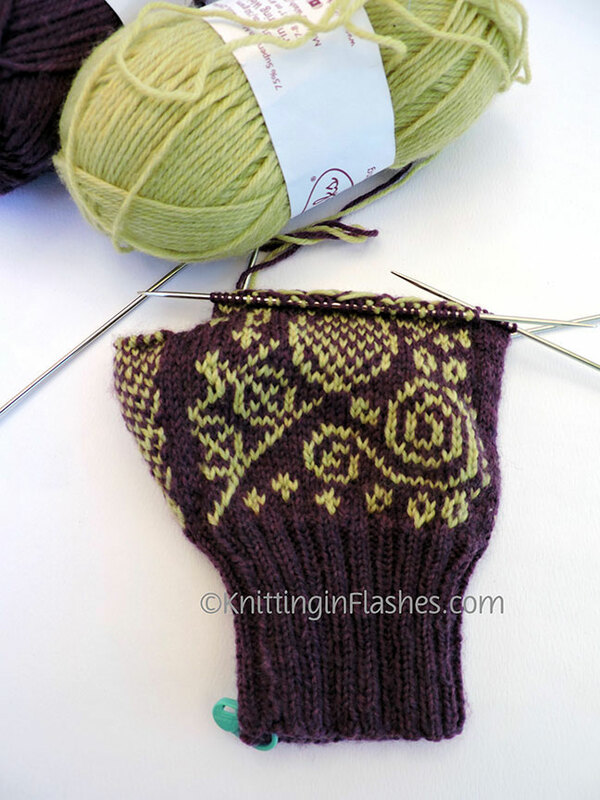 I saw these cool Drinkers Mitts on Ravelry (free pattern) and posted them on my Facebook page. A friend asked me if I could make them for her but change the background color to red. Two rows down…many, many more to go. 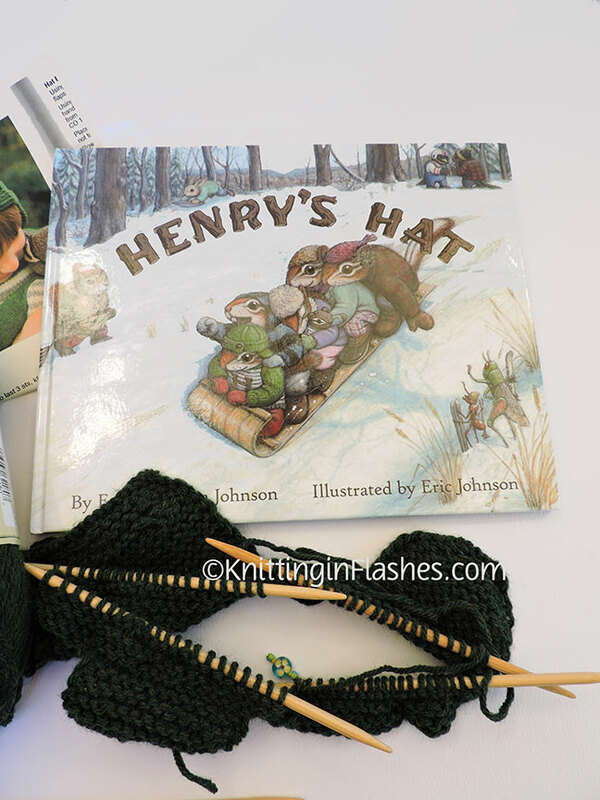 Last month Rachelle from My Tangled Yarn posted about a hat she was making for her son: Henry’s Hat. 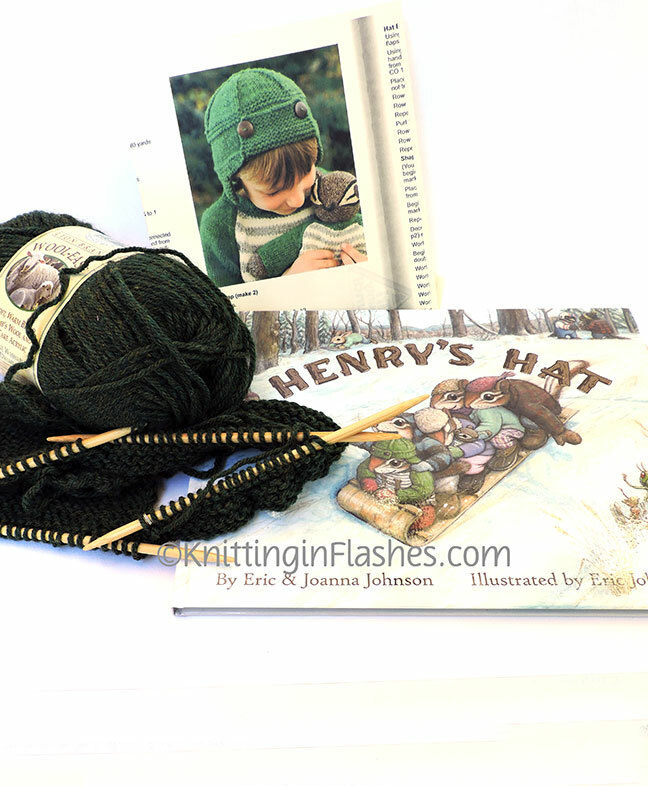 The story about Henry and his favorite hat also includes patterns for the hat, a sweater, and chipmunk toy. So a hat for my grandson (whose middle name is my last name) is now on the needles. I am in the process of decluttering, organizing, and getting rid of stuff that I don’t love or doesn’t fit in my life/house any more. I’m also on a yarn and fabric diet. No new yarn or fabric is coming into this house unless there is a specific reason/project for it. And all the above projects are from my yarn stash! 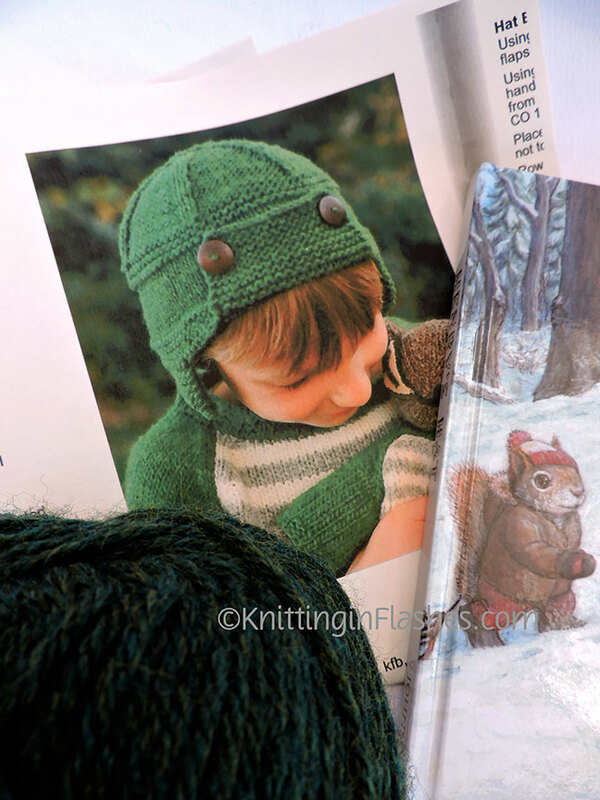 This entry was posted in grandkids, knitting, knitting pattern, mittens and tagged family, knit, knitting, mittens, work in progress by Patti_is_knittinginflashes. Bookmark the permalink. 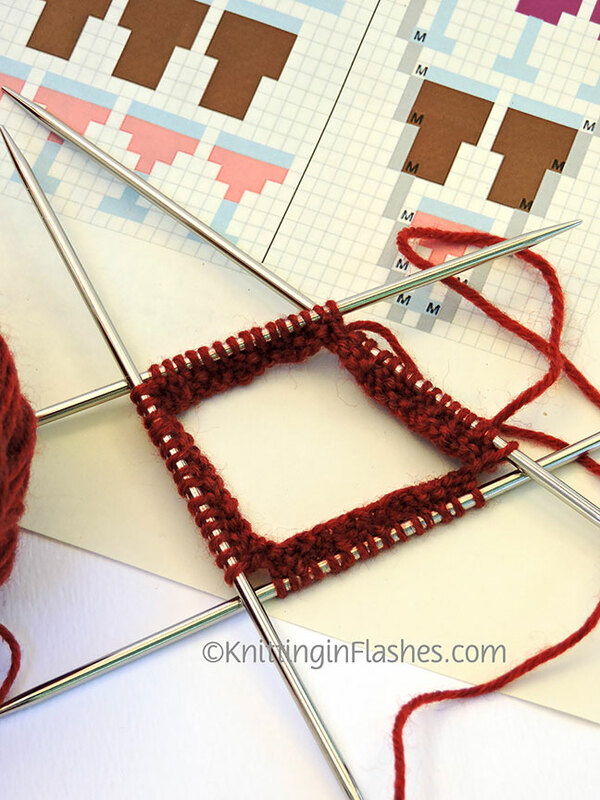 Please teach me how to knit in four. I watched the tutorial you sent, but I was still confused. 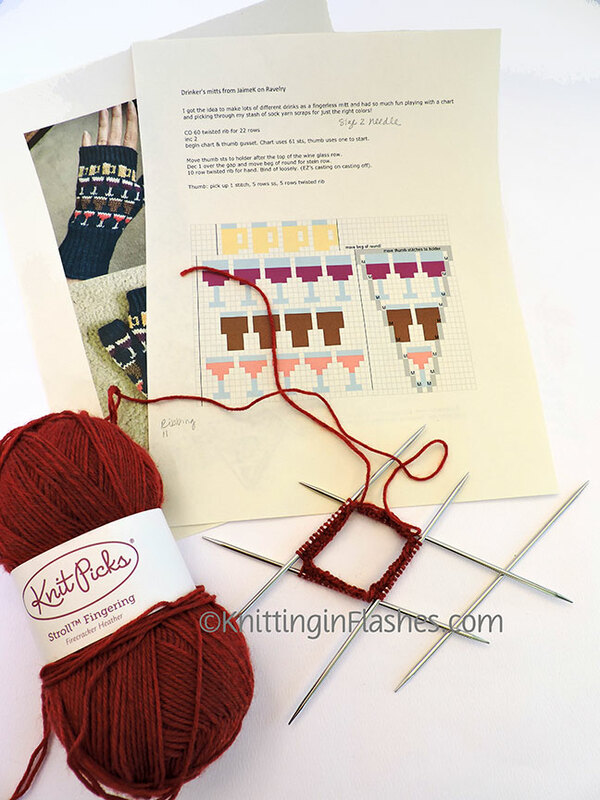 Can you teach me how to make the fingerless gloves? Yes, I can and will teach you how to knit in the round. It will be my pleasure. I must say little sister,. You do like a challenge! Certainly TOO HARD for me to attempt.. and I don’t knit.